The rain-delayed season-opener for the 2019 NHRA Mello Yello Drag Racing Series saw Doug Kalitta (Top Fuel), Robert Hight (Funny Car) and Bo Butner (Pro Stock) emerge winners. Kalitta took home the Top Fuel victory with a 4.014-second pass at 269.29 mph in his Mac Tools dragster to defeat defending champion Steve Torrence in the final round. Kalitta thus defends his Winternationals crown and brings his career win total to 45. “This place has always been very special for me,” Kalitta stated. “To have success here is more than you could imagine for me. 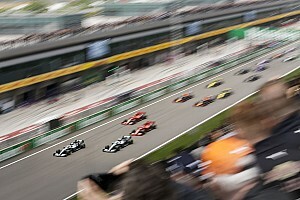 We were fortunate to get by the Capco guys but we’re going to keep at it. After qualifying in the seventh position, Kalitta took down Scott Palmer, Billy Torrence and Terry McMillen on the road to victory. Torrence was the No. 1 qualifier for the event and defeated Steve Faria and Mike Salinas as he recorded his seventh consecutive final round appearance and 15th of his career. 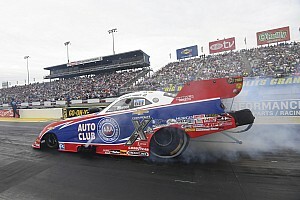 Hight took down Terry Haddock, Bob Tasca III and team owner John Force en route to his 46th career win, while Beckman beat Phil Burkhart Jr., Cruz Pedregon and Don Schumacher Racing teammate Tommy Johnson Jr. In a rematch of the 2018 Winternationals, Butner defended his event title against teammate Jason Line after driving to a 6.522 at 211.59 run in his Jim Butner’s Auto Chevrolet Camaro, and snatching his eighth career victory. Butner entered eliminations third in qualifying before taking down Alan Prusiensky, Chris McGaha and two-time champion Erica Enders. Final: Doug Kalitta, 4.014 seconds, 269.29 mph def. 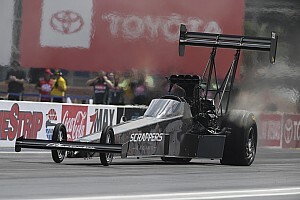 Steve Torrence, 4.008 seconds, 240.25 mph. 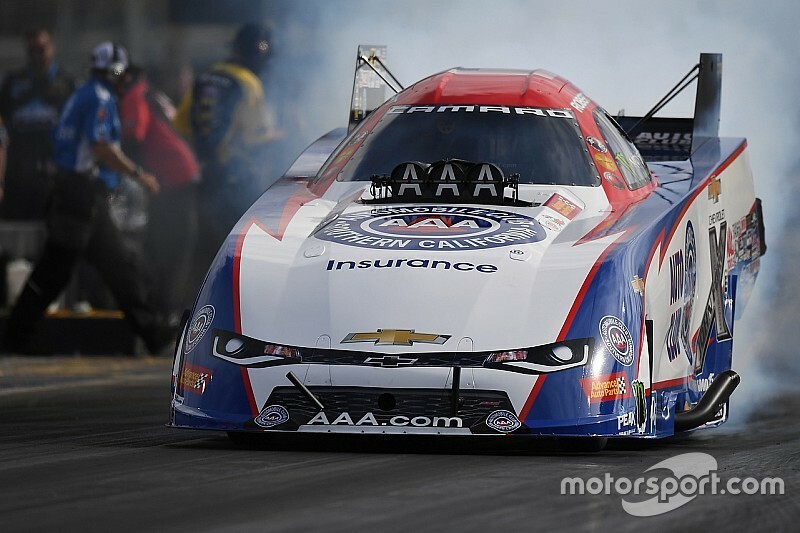 Final: Robert Hight, Chevy Camaro, 3.881, 329.75 def. Jack Beckman, Dodge Charger, 3.880, 329.42. Final: Bo Butner, Chevy Camaro, 6.522, 211.59 def. Jason Line, Camaro, 7.160, 148.58.